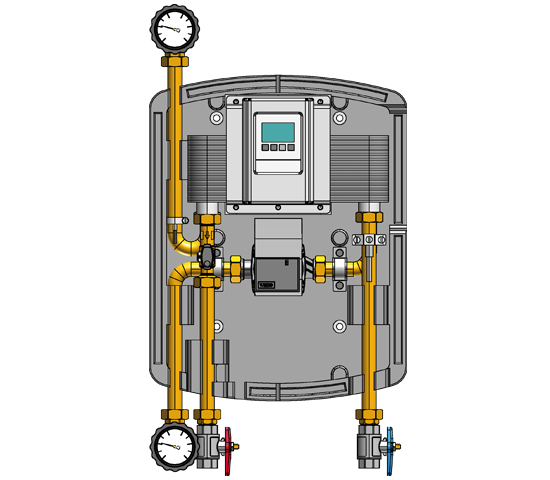 The temperature of the hot water produced is 45°C with supply water temperature of 10°C. Consequently, the power is about 98 kW at the maximum flow of 40 l/min. 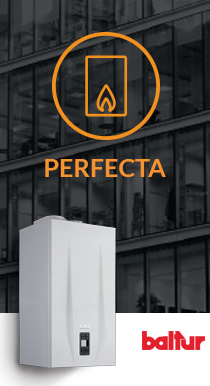 DHW temperature is adjustable at every °C up to 55°C. The minimum inlet required temperature on the heat exchanger is 60°C to guarantee the performance stated at the maximum flow (with thermal Δt of 35°C). 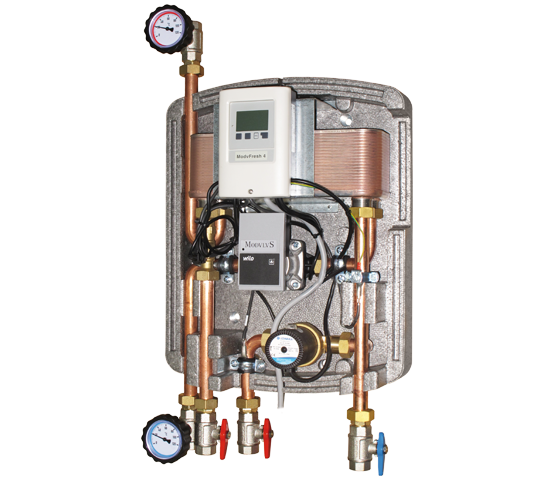 Plate exchanger with big surface that guarantees a significant heat exchange allowing the water to return to the puffer with a temperature up to 15° C. This promotes a perfect efficiency of solar supply or heat pump. Model SBACS-R 100 HE, including recirculation pump and circuit. Quick exchanger removal system to make any maintenance or replacement easier. On-board electronic control unit to manage functions and monitor performance. Completely heat insulated with PPE shell. The unit is supplied with a 3/4" male "union" end. 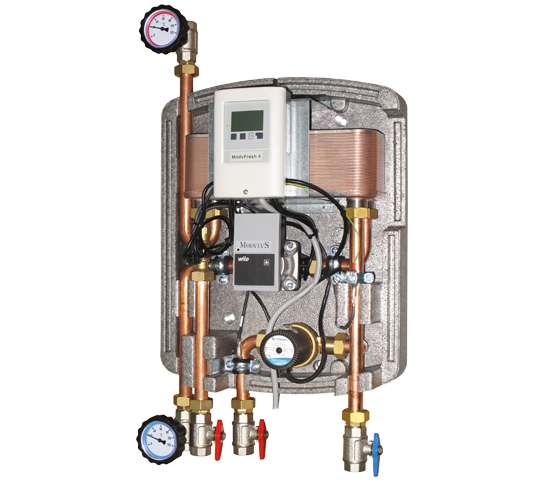 Ball valve kit available (optional), complete with thermometers on puffer water outlet and inlet. The Wilo Yonos Para circulator, with electronically switched (synchronous) motor with permanent magnets, has an efficiency of 47% and allows to dramatically reduce energy consumption with power absorption range from a minimum of 3 W to a maximum of 70 W (stand-by consumption lower than 1W) in proportion with the real need of the solar system. On the contrary, a 7-meter traditional "asynchronous" circulator (e.g. Wilo 25/7), even if controlled with phase cutting at variable speed, always keeps a constant consumption that is equal to its plate maximum value (110 W). However, despite this, its performance is significantly lower (prevalence at 28 l/min about 4.8 meters against about 7.5 meters of Yonos Para ST circulator).